As congressional backers of the "Green New Deal" prepared yesterday to roll out a resolution calling for a rapid shift to carbon-free energy, they also released a fact sheet nixing the possibility of building new nuclear power plants. "A Green New Deal is a massive investment in renewable energy production and would not include creating new nuclear plants," read a fact sheet posted on the homepage of Rep. Alexandria Ocasio-Cortez (D-N.Y.). "It's unclear if we will be able to decommission every nuclear plant within 10 years, but the plan is to transition off of nuclear and all fossil fuels as soon as possible." Within hours, that language had disappeared from the congresswoman's website, and her staff went silent on questions of how and why it vanished. As energy legislation takes shape in Washington, it's common for fuel sources and energy types to jockey for position. Energy and environmental interests wrestle for bill language and federal incentives over months of closed-door lobbying, and a final bill is a mishmash of political compromises and policy trade-offs. The rollout of Ocasio-Cortez's blueprint outlining a vision for a "Green New Deal" provided a taste of what is likely to come as broad themes become legislative language. The plan by progressive Democrats looking to tackle climate change aims to eliminate the nation's reliance on coal, oil and gas while shifting to renewable energy and addressing economic injustices. Critics of nuclear power have raised concerns about safety, the threat of accidents and the vulnerability of waste at aging plants despite their zero-carbon footprint. What was left after the vanishing fact sheet was the original six-page resolution, which called for meeting 100 percent of the United States' power demand with "clean, renewable, and zero-emission energy sources." It made no mention of the nation's nuclear reactors, which face the threat of closure in regional markets across the Northeast and Midwest where gas plants and wind power offer lower-cost electricity. Adding to the confusion, Ocasio-Cortez and Sen. Ed Markey (D-Mass. ), the plan's Senate sponsor, told reporters at a press conference near the steps of the Capitol that their nonbinding resolution was technology-neutral, suggesting that nuclear could still be on the table. "The resolution is silent on any individual technology which can move us toward a solution of this problem. This is a resolution that does not have individual prescriptions in it, so it is silent," Markey told reporters. When asked about the fact sheet and its intent to ban nuclear, he responded, "That is not part of the resolution." Nuclear boosters grumbled about the confusion but said they believe the noncommittal resolution is proof that backers of the "Green New Deal" support nuclear power. "Although a fact sheet from one of the resolution's sponsors has created confusion, the text of the actual resolution makes it abundantly clear — we must embrace every zero-carbon resource available to eliminate climate pollution and dramatically increase our investment in clean energy innovation," said Josh Freed, senior vice president of the clean energy program at the center-left think tank Third Way. 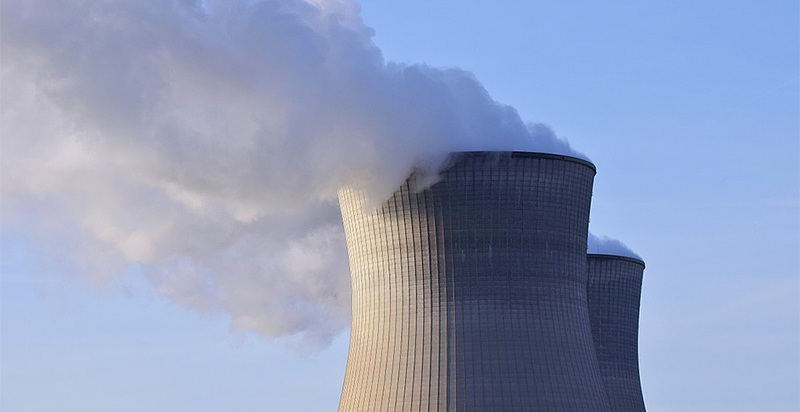 John Kotek, vice president for policy development and public affairs at the Nuclear Energy Institute, said he's also focused on the resolution's support for carbon-free sources of energy — and nuclear's role in that realm. "I certainly read this as leaving the door open, and the fact that they're talking about clean, renewable, zero-emission resources describes what nuclear delivers," he said. The greatest strength — and weakness — of the "Green New Deal" is that it's a movement and not a proposal, and one that's gone through various iterations, said Bipartisan Policy Center President Jason Grumet. "At the moment, the Green New Deal is a mirror that allows anyone to see their own interest," he said. "It's reconciling those differences that will be the next stop to turn the aspirations into an actual proposal." Jesse Jenkins, a researcher at Harvard University, said the kerfuffle over the differences between the resolution and the fact sheet is indicative of the challenges ahead for the "Green New Deal" as advocates try to craft a policy that is "simultaneously visionary and exciting to their base but also inclusive and attractive to the kind of broad coalition needed to actually become law." Indeed, a split among Democrats and environmentalists over the role of nuclear power in addressing climate change has already emerged, highlighted by the entrance of Sen. Cory Booker (D-N.J.) into the presidential race. Unlike many of the other 2020 Democratic contenders, Booker has been aggressive in pushing for nuclear energy, sponsoring multiple bills and speaking at events sponsored by nuclear advocates. "We can't get there [in addressing climate change] unless we substantially support and even embolden the nuclear energy sector," Booker said at the Department of Energy's nuclear summit two years ago. "It just doesn't work." Booker's support for nuclear stems in part from concern about environmental justice, along with a concern about greenhouse gas emissions. He frequently notes that asthma is high in New Jersey and could worsen if nuclear plants close and are replaced with polluting fossil fuel plants. But more broadly, Booker's stance stands in contrast to some proponents of the "Green New Deal," including signers of a letter sent by the Sunrise Movement, the Center for Biological Diversity, Greenpeace and hundreds of other groups to congressional leaders last month. They said nuclear power, along with all combustion-based power, should not be part of the "Green New Deal." Booker also differs from 2020 Democratic contenders like Rep. Tulsi Gabbard of Hawaii, who links to a statement on her campaign website stating that she "will work to ensure that none of us will be forced to bear the burden of nuclear energy." Other Democratic 2020 hopefuls have focused more on safety and waste concerns with nuclear, even if they haven't dismissed it outright. Sens. Kirsten Gillibrand (D-N.Y.) and Kamala Harris (D-Calif.), who both announced candidacies in January, were among three Democrats who voted against the Nuclear Energy Innovation and Modernization Act — co-sponsored by Booker — when legislation moved through the Environment and Public Works Committee. Harris said her opposition was related to concerns about safety. Other Democratic candidates, like businessman Andrew Yang, are closer to Booker's views and call for increased investment in nuclear power. Rep. John Delaney (D-Md. ), another 2020 hopeful, has sponsored legislation that included nuclear as part of a plan to have half of the nation's electricity come from carbon-free sources by midcentury. Some of the differences follow regional patterns. New Jersey ranks second in the nation for the number of nuclear reactors, while Gabbard's home state of Hawaii has none. It's unclear how much voters, and Democratic primary voters in particular, may care about positions on nuclear. Polls consistently show that Democratic voters rank climate change as a much more important issue than Republican voters, but it's unclear how many of those voters consider nuclear a central way to cut emissions. A Gallup Poll in 2016 found that about a third of Democratic voters favored nuclear energy. G. Terry Madonna, director of the Center for Politics and Public Affairs at Franklin & Marshall College, said the expansion or decline of nuclear power does not emerge on polling questions that ask voters their opinion on the most important issues confronting the country. But among Democrats, progressives won't buy into it as a substitute for oil and natural gas, he said. "It certainly defines Booker. It might be used against him ultimately," Madonna said. Still, University of Michigan public policy professor Barry Rabe said that getting to zero-carbon electricity in short order is even more daunting if existing power plants go offline. The dynamic could give Booker an opportunity in Southern states in particular, he said. "This potentially gives Booker a window, not only to differentiate himself from many other Democratic candidates, but also to highlight this issue in states where nuclear is part of the mix and it is unlikely to see a shift [to 100 percent renewables] in short order," he said. While backers of the "Green New Deal" may debate the future of nuclear power, many Republicans have for years been coalescing in support of the power source. "If you want clean energy, nuclear ought to be the first step," Sen. Lamar Alexander (R-Tenn.), chairman of the Senate Energy and Water Development Appropriations Subcommittee, told E&E News yesterday. "I don't think you can seriously talk about climate change without talking about nuclear energy," said Rep. Mike Simpson of Idaho, the top Republican on the House Energy and Water Development Appropriations Subcommittee, during a House hearing that focused on zero-carbon technology. Simpson advocated for working toward next-generation nuclear deployment. "It's not going to be these 3,000-megawatt plants that cost billions of dollars to build," Simpson said. "It's going to be in small modular reactors and micro-reactors and those type of things." But it's not just Republicans. "On the question of nuclear, I would just argue, look, 20 percent of power roughly comes from nuclear energy, and it's 100 percent zero CO2 emissions," Ethan Zindler, head of Americas and policy analysis with Bloomberg New Energy Finance, said during that same hearing. "So any practical conversation around addressing climate change has to think very carefully about letting nuclear reactors continue to retire." That rationale is also at the heart of a new report issued this week by former Energy Secretary Ernest Moniz. The report found that the federal government should be spending more on breakthrough technologies that extend past just renewables, including battery storage and advanced nuclear technology (Energywire, Feb. 6). That perspective might find a home with the new chairwoman of the House Energy and Water Development Appropriations Subcommittee, Marcy Kaptur (D-Ohio), a fan of the concept of the "Green New Deal," though she has suggested nonrenewable technology should be part of the mix. "I think it's always good to set goals," Kaptur said. And meeting all U.S. power demand through domestic sources is also a worthy goal. "Simultaneously, we need to put together the technologies to embrace the future, and it's great to have a choir cheering us on," she added. "The Green New Deal sets parameters, let's hope we can reach them." Kaptur expressed support for bolstering the Department of Energy's research and development funding across technology sectors. That may represent the House Democrats' first opportunity to offer significant climate action in the short term as lawmakers begin deliberations to construct the fiscal 2020 spending bill. "I think you heard an all-the-above strategy," Kaptur said about her efforts to embrace more than just renewables. "Our members talked about hydropower. They talked about hydrogen. They talked about plasma. So people are looking at all possible alternatives."